On September 20, 2007, the Regents appointed Sheryl Vacca, a nationally recognized expert in corporate compliance and auditing, as the University of California’s Senior Vice President and Chief Compliance and Audit Officer. Reporting directly to The Regents, the Senior Vice President and Chief Compliance and Audit Officer is responsible for developing and overseeing the university’s corporate compliance and audit program. Functioning as an independent and objective office, this position reviews and evaluates ethics, compliance and audit matters within the university, and monitors and reports to the board on itself, the administration, faculty, and employees regarding compliance with rules and regulations of regulatory agencies and university policies and procedures. Since 2000, SVP Vacca was a director with Deloitte and Touche LLP, a global management consulting firm, serving as a national leader in the firm’s internal audit practice area. Prior to Deloitte, SVP Vacca served as vice president for internal audit/corporate compliance officer for the Sutter Health system. While at Sutter, she built and then managed the healthcare system’s first enterprise-wide compliance program, which spanned 52 business units, while also being responsible for managing the system’s internal audit function. Prior to Sutter, SVP Vacca held senior administrator positions in various healthcare organizations. 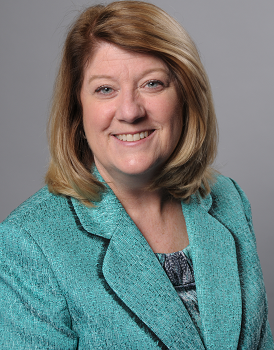 SVP Vacca is the recipient of numerous awards, including the Health Care Compliance Association Pinnacle Award for contributions to the compliance profession, and she is regularly invited to speak to national organizations on corporate compliance and audit. Her current board service includes the Health Care Compliance Association, Society of Corporate Compliance and Ethics Advisory Board Member and she is a member of several compliance and audit related professional associations. She is also a member of several professional editorial boards, including the Corporate Compliance Officer, published by Opus Communications. She has published several articles on compliance and auditing.